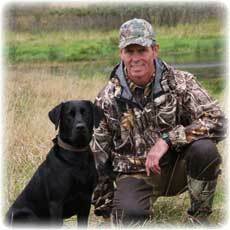 Founded in 1985, NFHRA is one of the largest hunting retriever clubs in Minnesota. We are proud of our history and attribute our ongoing growth and success to four key points. Training — You’ll meet people with years of experience and others will just be starting out. Many of our experienced members donate their time to help train club member dogs at our Wednesday Training Nights. Hunt Tests — One of the best reasons to join NFHRA is the opportunity to participate in organized AKC hunting tests. When 300 people or more attend one of our two-day hunting tests, it makes a big impression with local conservation officers which in turn helps to preserve your rights to use and hunt public lands. Member Driven — NFHRA has an outstanding reputation for sponsoring quality events and our success is a direct result of our members providing their time to help conduct these events. Be sure to check your areas of interest on the membership application. If this sounds like the kind of club you would like to join, simply fill out the membership form and return it with your first year membership dues.